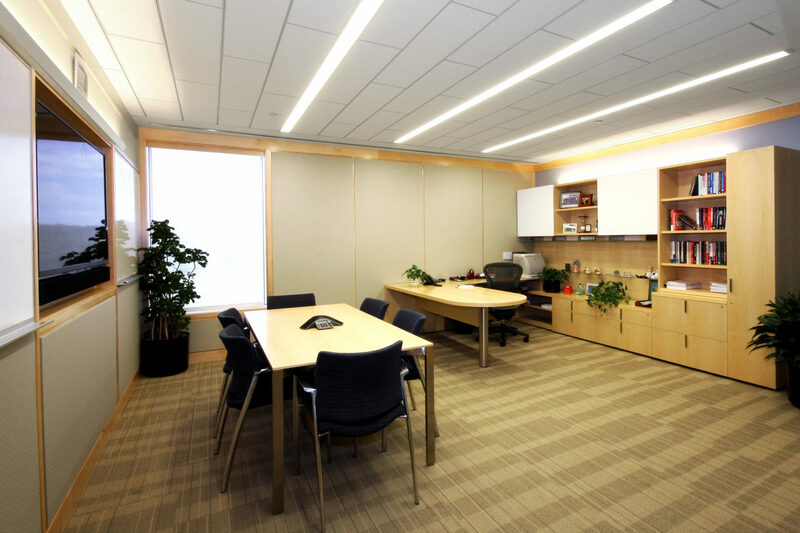 Renovation of existing open office space into a new executive office area for Analog Devices’ management staff. 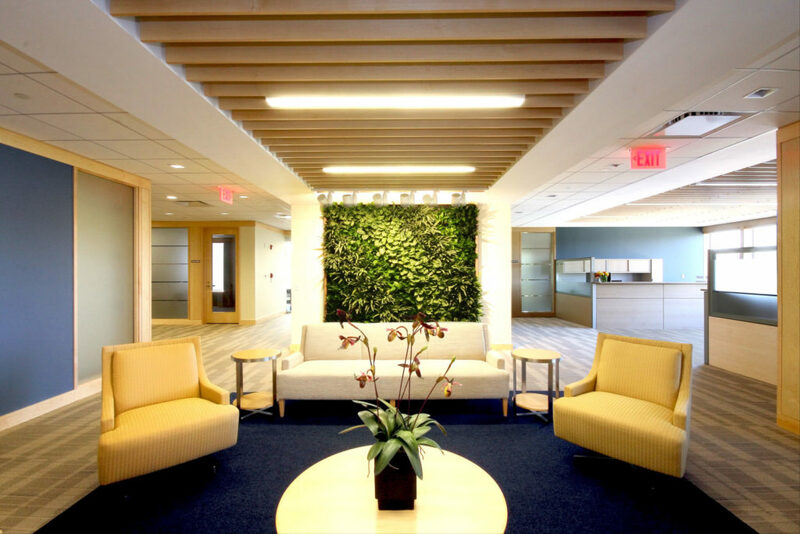 Finishes include high-end millwork, 9Wood suspended wood slat ceiling systems, and Greenwalls vertical planting systems. 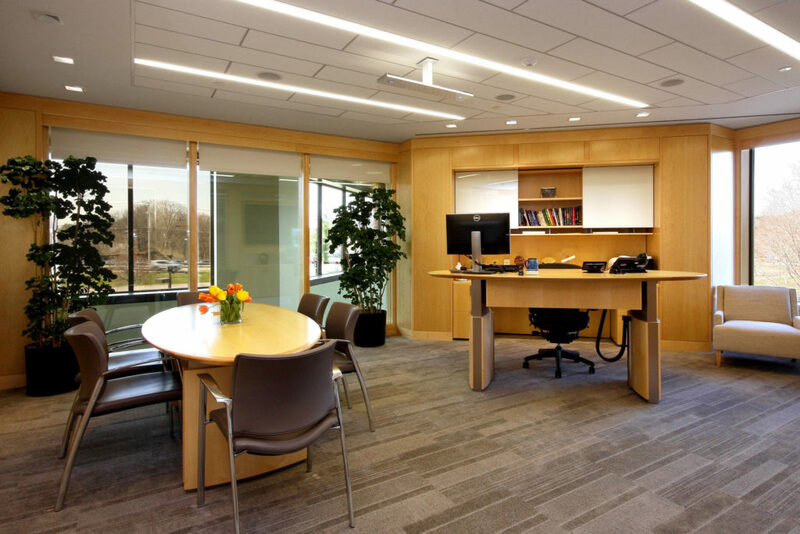 Glass office fronts were used to create an open office feel while providing natural daylighting and exterior views for building occupants. 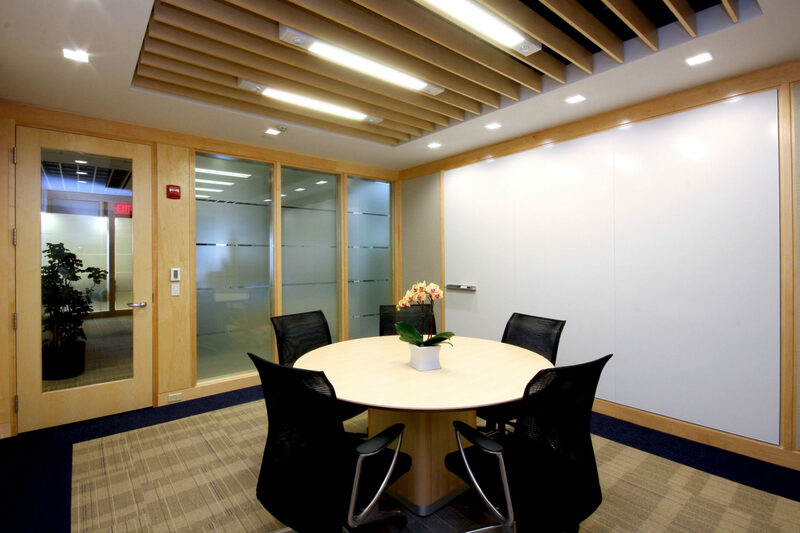 To meet the client’s privacy needs, enhanced acoustical isolation was achieved by utilizing sound-absorbent BAC ceiling panels, acoustical stretched fabric wall paneling, and double-glazed walls. 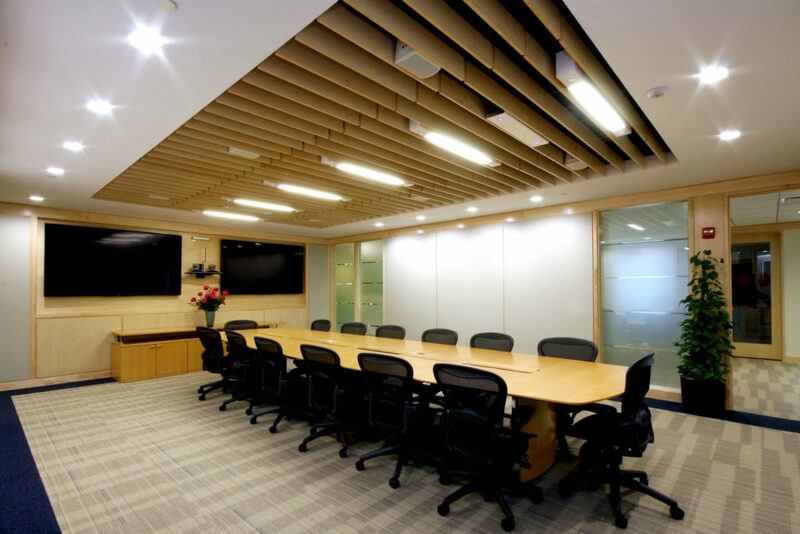 The project’s tight schedule, along with complex millwork and ceiling scopes, required a high level of cooperation and collaboration among all members of the project team.